Every day, in each moment, we have access to wisdom from the eight perspectives of the Way of the Council. They live within us. This weekend will give you a framework for wholeness, access to the eight perspectives and a new way of seeing, thinking and making choices for those important questions and challenges in your life and work. Each perspective opens a lens that builds on those before, beginning in the East and completing in the North East. Engaging the whole, we gain distinct insights into our current reality and recommendations for action to meet our challenges in ways that strengthen the overall systems to which we belong. The Way of the Council may be utilized by groups and teams; organizations and communities, individuals and families. A methodology with applications in leadership, strategic thinking, coaching, facilitation, community and personal work. A simple yet dynamic process of holding a Personal Council, to receive immediate insights, clarity, and recommendations around personal questions/challenges that are important to you. Experience with two different group applications - a Wisdom Council and a Council of Understanding, each producing insight to inform decisions and action. A network of people you can share experiences with to deepen your own understanding and learning. A grounding in the history of the Way of the Council, the lineage of the Origin Teachings of the Delicate Lodge, and a vision for the wheel’s value in our 21st-century world. See further details on the flow of daily activities HERE. * Note these costs are for the program, food and materials. Transportation and lodging are covered separately by participants. Your place is confirmed once your payment is received. You may pay via credit card using the payment option to the right. 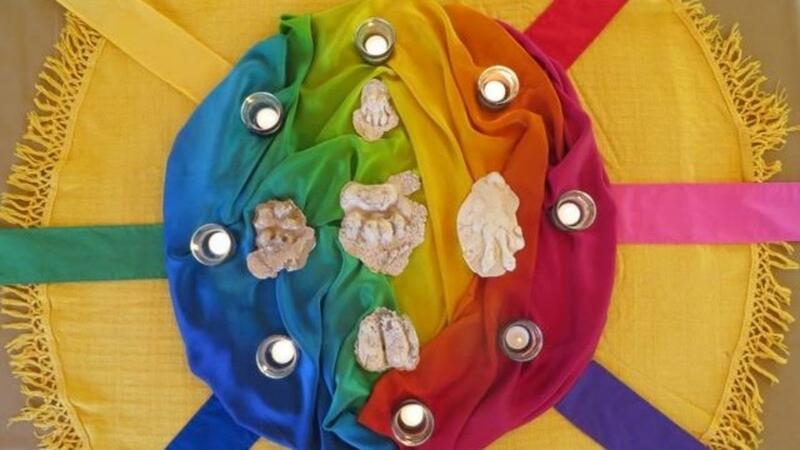 Glenna Gerard has been a student of these earth-based teachings for 7+ years and is authorized by WhiteEagleWoman, Keeper of the Origin Teachings of the Delicate Lodge to teach a number of foundational wheels, including the Way of the Council. Glenna is a gifted facilitator and guide with 30+ years of experience as an organizational consultant in leadership and dialogue, and is a co-author of Dialogue: Rediscover the transforming power of conversation. (John Wiley & Sons, 1998). She and her partner, Dave, live on The Ojo in evolutionary partnership with the land.